This Little Petface Puppy Play Pack is an ideal toy starter pack for small puppies and small breed dogs. 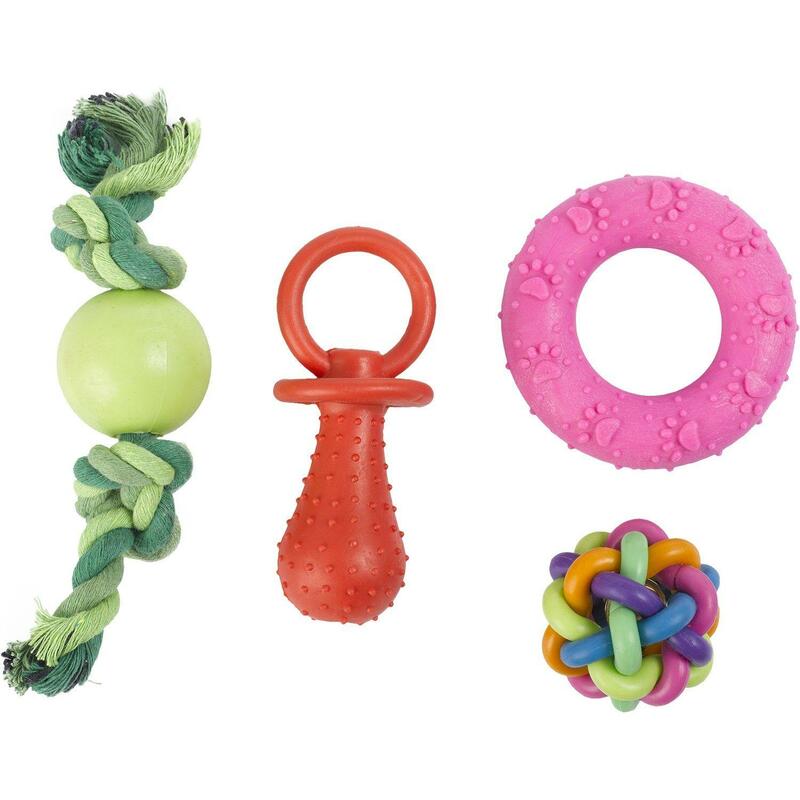 Little Petface have designed this puppy play pack of 4 toys as a starter pack for your pup. The toys come in different shapes and a variety of colours. Please Note: These are recommended for small breed puppies due to toy sizes. Please ensure your puppy is supervised during play and you select toys appropriate to their chewing style.